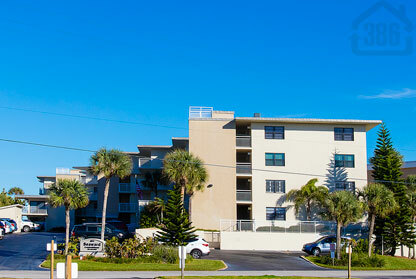 The Seaward condominium is the perfect oceanfront getaway for families, and is also one of the best rental investments available in New Smyrna Beach. Residents here enjoy the non-driving section of New Smyrna, where they can relax their day away beneath the Florida sun. Watch the waves roll in from your own private balcony and enjoy the poolside with the friends or family, which includes a kiddie pool for the little ones. Plus, enjoy the convenience of many great shopping and dining opportunities along nearby Flagler Avenue, and also, Seaward is only an hour or so drive from area attractions in Orlando, St. Augustine, and Cape Canaveral. If you’re not sure which direction to go for oceanfront condo living, may I suggest Seaward. Call us today for availabilities.